ChiIL Live Shows caught their show last May at Chicago HOB, and they were excellent. Highly recommended if you dig extreme, genre jumping, experimental metal! Sweden has the most metal bands per capita in the world! And these Swedes know how to bring it LIVE. They've played world tours for years and show no signs of stopping soon. Chi-town metal fans are world class and HOB Chicago is sweet venue for shows, with great sound. 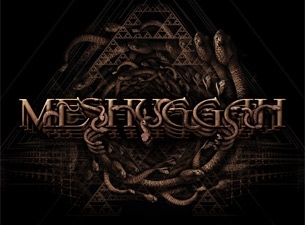 Check out Meshuggah's main site here for more info. Heard their latest release from 2012? Meshuggah is doing their only Swedish festival appearance this summer at Metaltown! Meshuggah and Devin Townsend Project coheadlining the Brixton Academy in London May the 3rd! Get your ticket HERE as they will surely run out fast! 2nd slithering of The Ophidian Trek tour through Europe is starting April 21st. Check Alive for ticket links or go to theMeshuggah Facebook for more info! North American headlining tour with support acts Animals As Leaders and Intronaut starting February 11 in Orlando FL. Advanced presale tickets & V.I.P bundles are available via Artist Arena. Check Alive or the Meshuggah Facebook for further info on dates! Meshuggah Announce 2013 Scandinavian Tour! MESHUGGAH will be taking their sonic arsenal and production that has already bulldozed UK and USA to Scandinavia on “The Ophidian Trek” tour, which launches April 18th in Seinäjoki, Finland. Support acts are to be announced. Tickets will be released Friday 16th of November, please visit Meshuggah's sites and the Alive section for details. 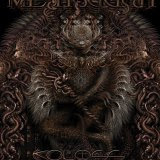 Yes, Meshuggah is coming back to the lovely Brutal Assault Festival in 2013!